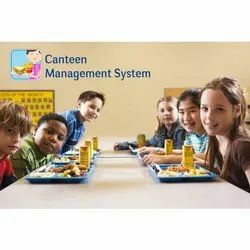 Canteen Management Software for Corporate Canteens. In which, the main 3 problems will be solved, i.e. It is a comprehensive Canteen Management software with fetaures to add menu items, price, quantity limit, timings for meals, track total food consumption & maintain track record for individual employee/person. Integrated with biometric & card reader. - Track issuing of stocks for each canteen. - A canteen in an organization is usually provided as an additional subsidized facility for the welfare of its employees. At IDBS, we provide a complete paperless Solution to manage your canteen, food court and food coupon management, whether subsidized or non – subsidized. It has almost cashless transactions and the usage reports can be pulled anytime/anywhere. iCafe is a Cashless Canteen Management Solution designed to simplify and enhance Canteen engagement by eliminating the tedious activities related to cash reconciliation, menu management, user debit management and order processing. - Sleek easy to operate, light weight with tough enclosure. - Can be interfaced with Magnetic, Barcode, Touch Token, Optical or RFID sensors. - Two way display for enabling user and operator both to view amount. - Capacity to store Approx. 2500 records. Our Canteen Management System (CMS) is paperless and has almost cashless transactions. ... Integration with payroll software for deductions at month end. ck/Room wise accuracy and vacancy status and detailed information of hostellers including their accounts.